This entry was posted in Health Insurance Blog on 08/29/2016 by admin. You have more free time than you know what to do with when you reach retirement age. 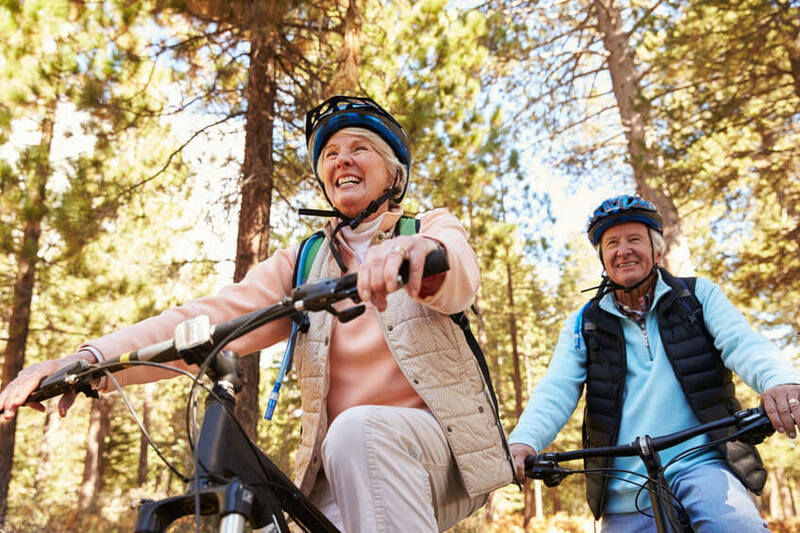 Some seniors end up inactive, and Bloomberg reports that 59 percent of retirees do not do aerobic or strength-based exercises. You’re also facing a major mental adjustment since you don’t have to go to work every day, so you definitely want to replace your career with several fulfilling activities that keep you busy. Here are a few options to consider. The United States has so many fascinating nooks and crannies. You could take a road trip for the rest of your life and still have something new to discover. Find an RV with the creature comforts you want for a cross-country exploration, get motorhome insurance and head off into the sunset. You can do a tour of the national parks or look for quirky, small towns that commonly get passed over during more fast-paced vacations. After all, you have all the time in the world to explore. For many people, the college experience was a means to an end. You took classes designed to support your career choices, which forced you to skip over courses that held a personal interest for you. Now you can go back and learn for pleasure. If you don’t have a nearby college campus, distance learning brings education right to you. Community colleges offer many continuing education classes, or you can go into a full degree program. It’s never too late to achieve your learning goals. Beaches, lakes and rivers provide a relaxing backdrop for a beautiful day, whether you want to spend it fishing, swimming or bird watching. You can keep your health insurance costs down by staying active since you’ll reduce your risk of running into common health problems that could land you in the doctor’s office. If you’re not a fan of the water, you can take up a sport or go for long walks through the area’s parks. You might be glad that you’re done with work for good, but you do lose out on a valuable social experience. Replace that by expanding your social circle through hobby groups. You can find one for nearly every activity, from sewing to reading. Keep an eye out for regular meetings or events in your area. If you can’t find someone already running this type of group, start one up yourself. You’ll bring in plenty of interested people and make new friends. Which causes are you passionate about? You might skip over supporting them during your working years, but now you have the time to put in volunteer hours. If you love animals, the local Humane Society needs all the help they can get. If you have health problems preventing you from doing a lot of physical work, bring your administrative skills to the table for the organization of your choice. Make sure you’re prepared for your retirement years with the right health insurance. Reach out to Freeway Insurance today and get yourself set for the best time of your life.